We are The World Transformed – a 4-day politics, arts and music festival running alongside the Labour Party Conference, working to build left power both inside and outside of Parliament. 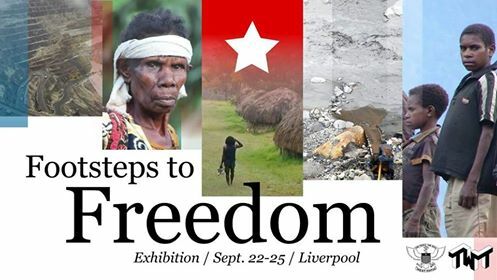 This year’s conference highlights the West Papuan issue in a powerful exhibit featuring exclusive photos of West Papuan life, detailed cartographic research into the Grasberg mine – the largest gold mine in the world – and artefacts embedded at the core of West Papuans’ cultural resistance to genocide. indigenous self-determination struggle, where Papuans risk arrest, torture and execution for fighting for their independence and freedom: merdeka. Since 1963, the Indonesian state has ruled West Papua through force and deception. All throughout, Western powers – the UK, US, Australia – have backed Indonesia to the hilt, training military and police units in the arts of surveillance and repression. Gold, copper, timber, palm oil: West Papua’s resources are the prize in this modern-day anti-colonial struggle. For decades, West Papuans have struggled against incredible odds to keep the dream of decolonisation alive. Today, the movement is at a historic high, with a unified body, the United Liberation Movement for West Papua, leading the way through mass civil disobedience and international lobbying.